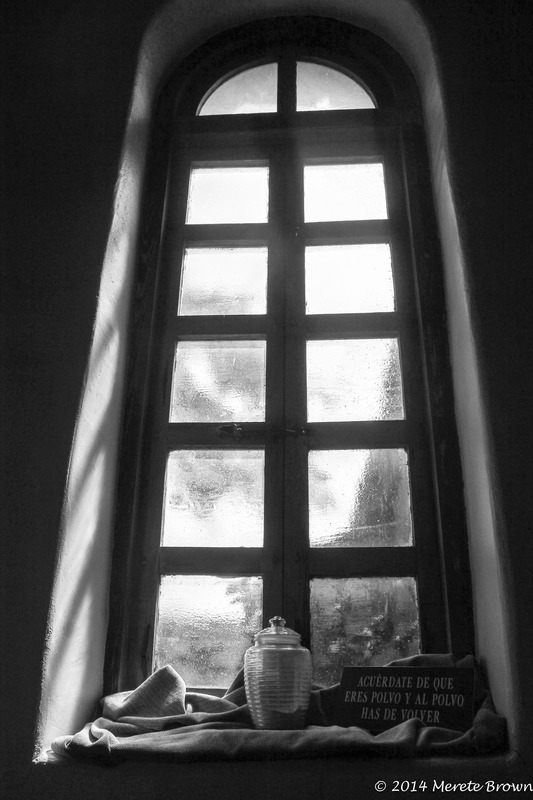 In all the traveling I do, some of my favorite places are those rich in history. 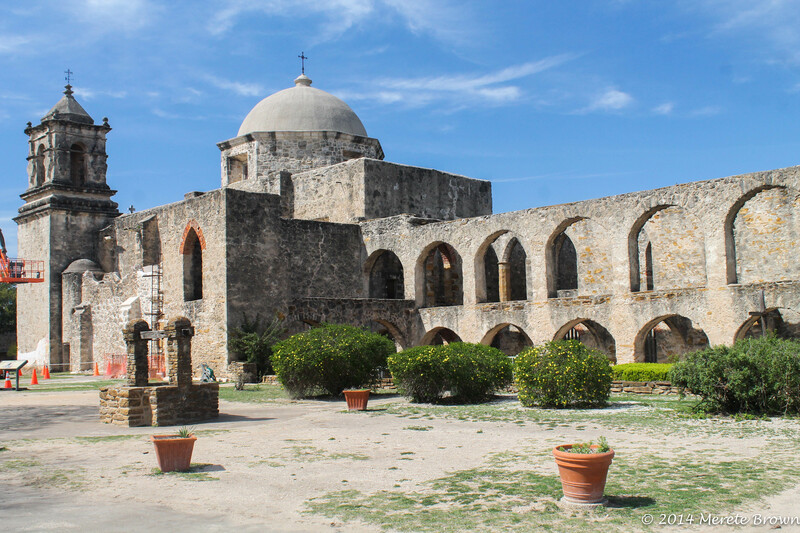 During our trip to Texas, our next stop was San Antonio, a historical and cultural hotspot, filled with medieval missions set in the midst of a bustling metropolitan area. 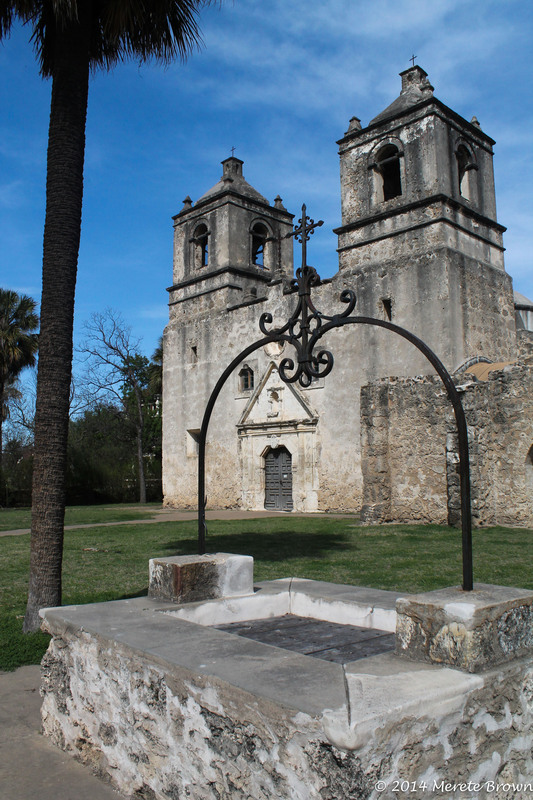 The route that makes up the San Antonio Historial Park extends from south of the city to the Alamo in the center of downtown. 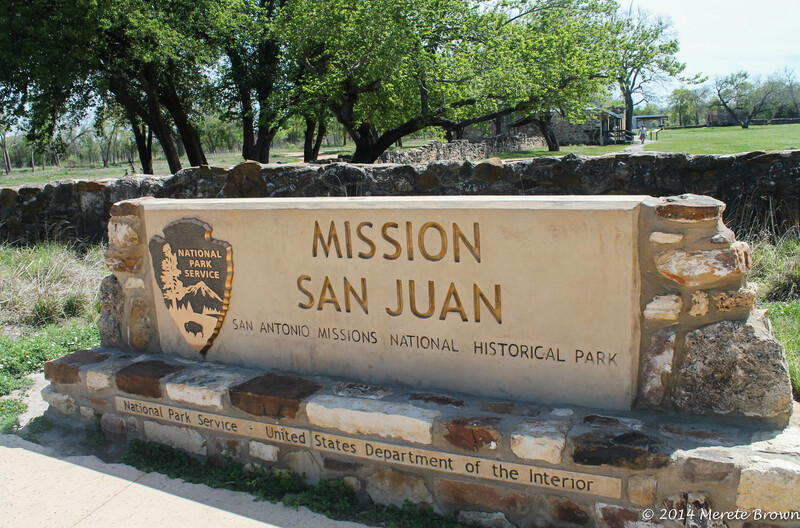 There are four main missions along the route, each unique in character. 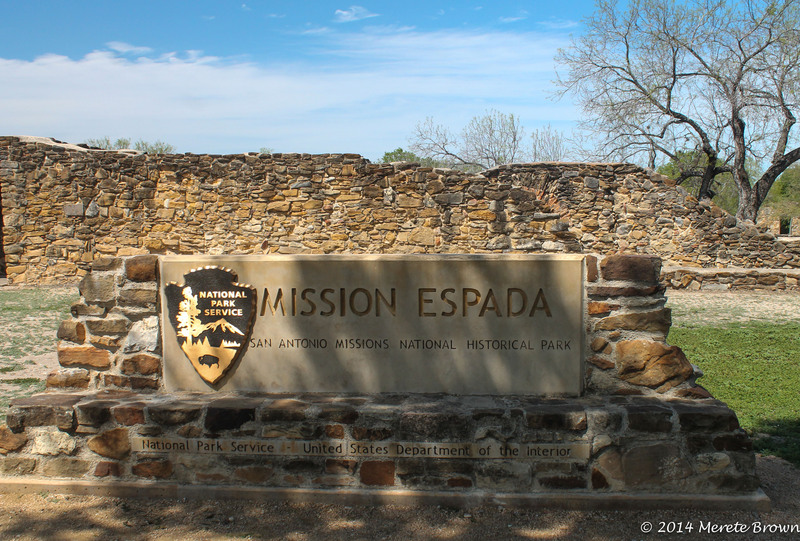 After grabbing a quick bite to eat at the Madhatters Tea House and Cafe, we drove to the far end of the route to Mission Espada to begin our trek towards the Alamo. 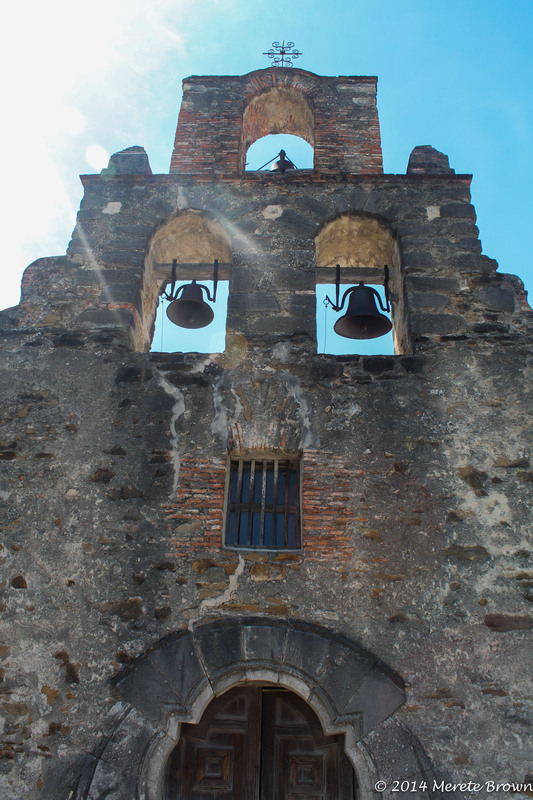 The sun streamed down through the arched bell towers of the mission as friars and nuns happily walked around the grounds. Tables were set up on the lawn for a local craft fair. 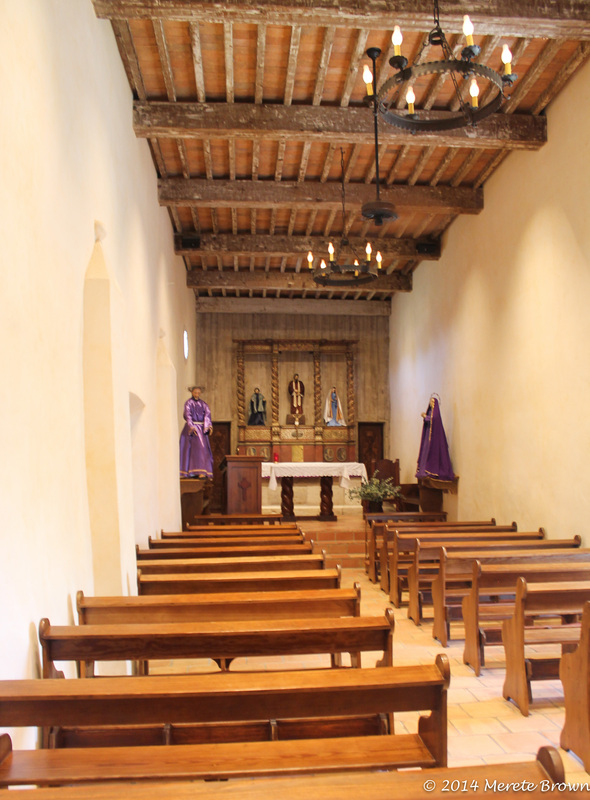 The inside of the mission was quaint; an air of calm resonated throughout. Several rows of pews neatly led up to the alter. We were only inside for a minute to not disturb those who were praying since all four missions are active Catholic parishes. 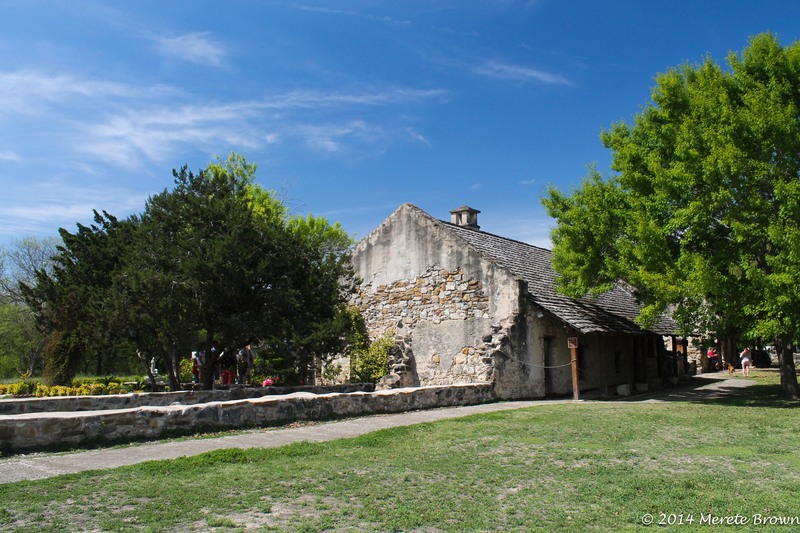 We hoped back in the car and headed towards Mission San Juan. 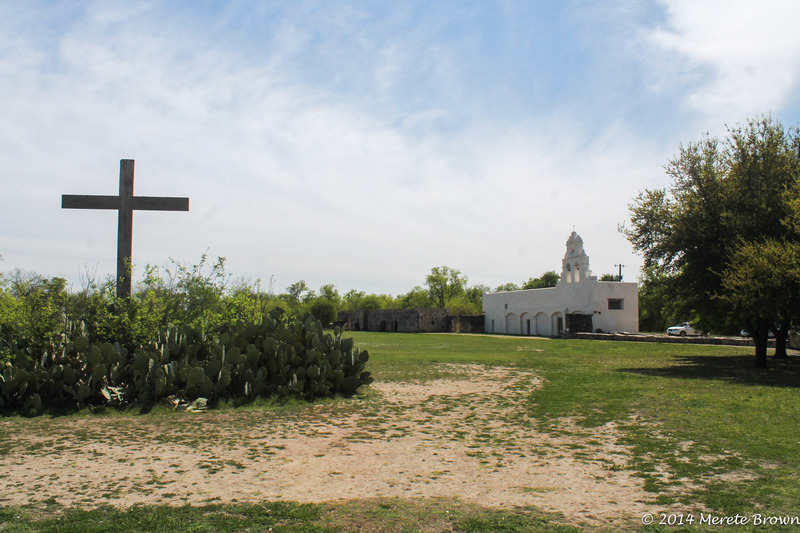 As we entered the next portion of the park, a large cross marked the entrance to a wide open courtyard. 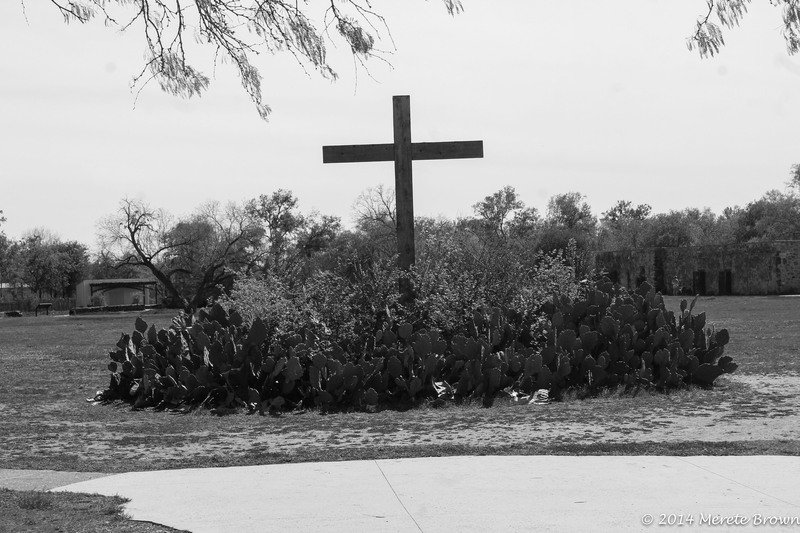 Mission San Juan sat off to one side in stark white contrast to the surrounding landscape and sky. 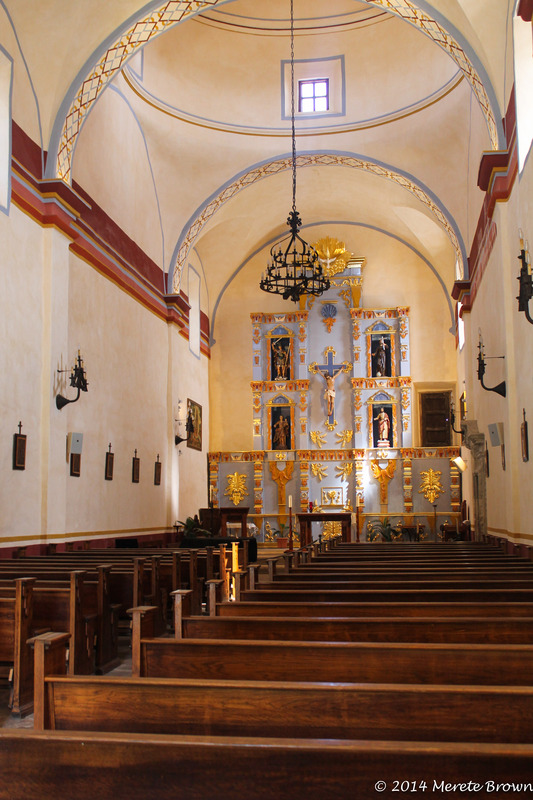 The inside of the mission was similar but not quite as adorned as the previous one. 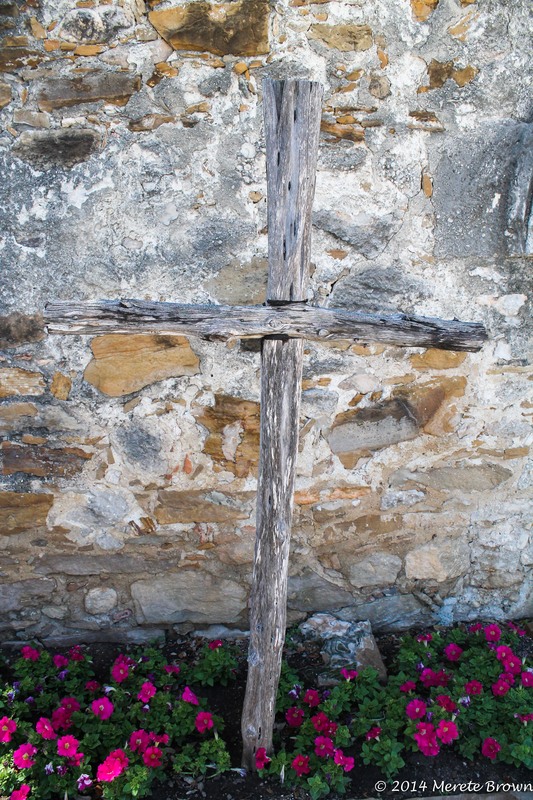 We walked the grounds, taking note of the other surrounding building, and then headed to Mission San Jose. 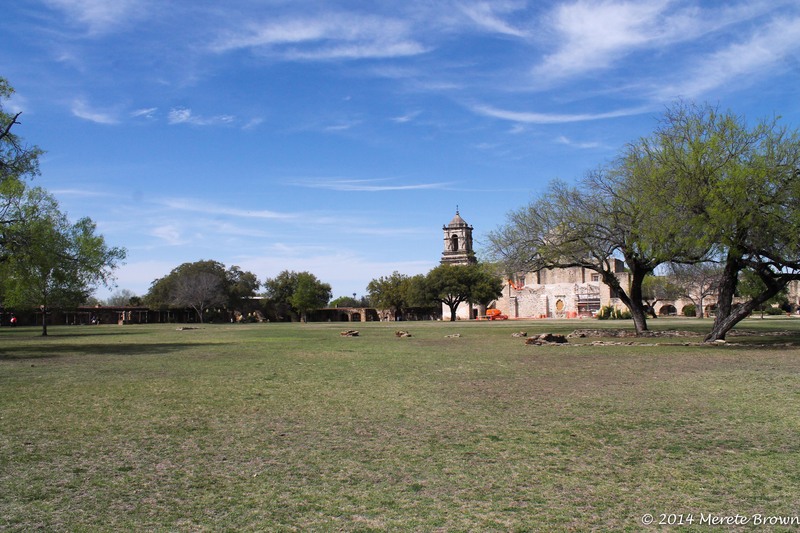 The area surrounding Mission San Jose was even larger than the previous two. 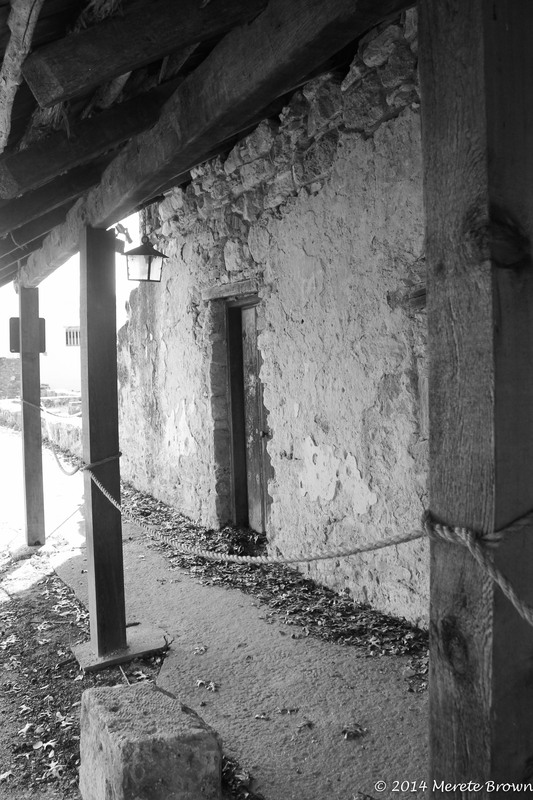 The outside of the mission itself was under construction but the large surrounding enclosure was well maintained. 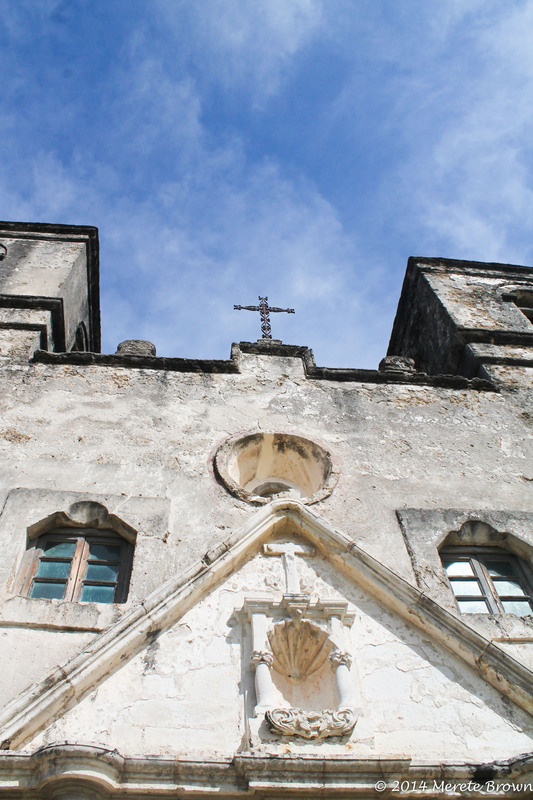 The inside of the mission was also larger than the previous two. 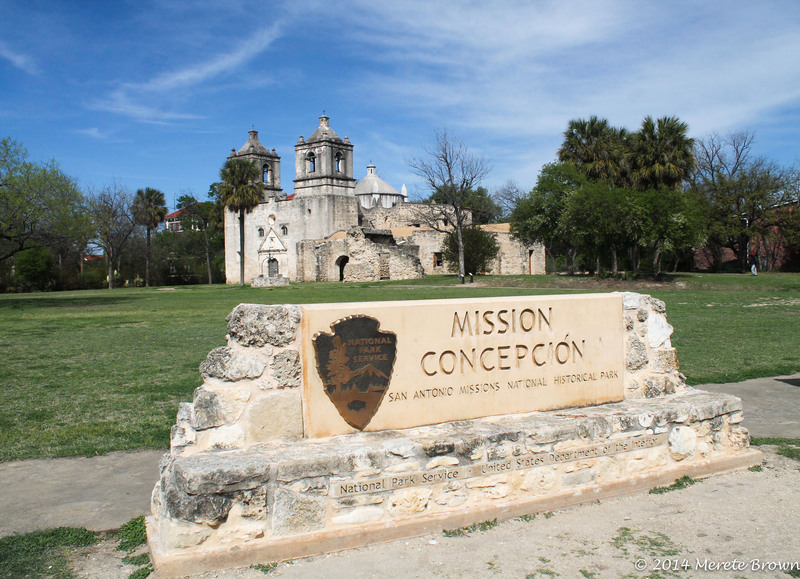 The last mission we stopped at before the Alamo was Mission Conception. 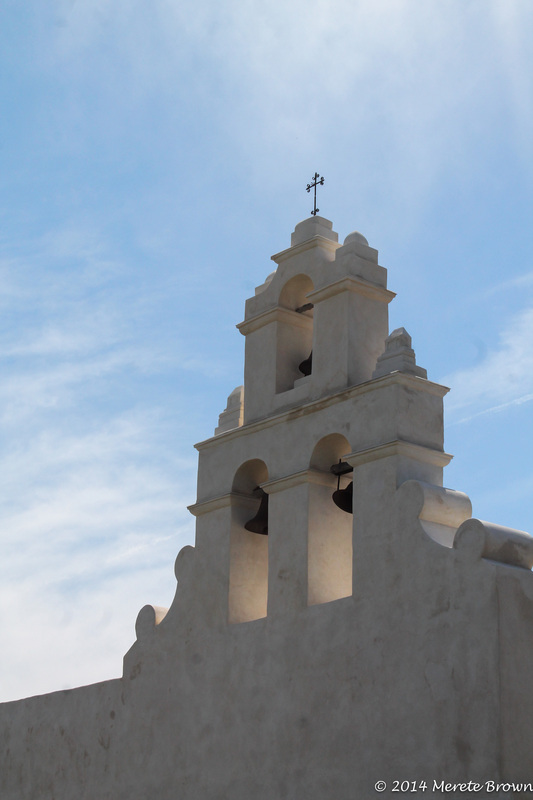 Mission Conception sat surrounded by busy streets and urban development, serving as a reminder of the past. 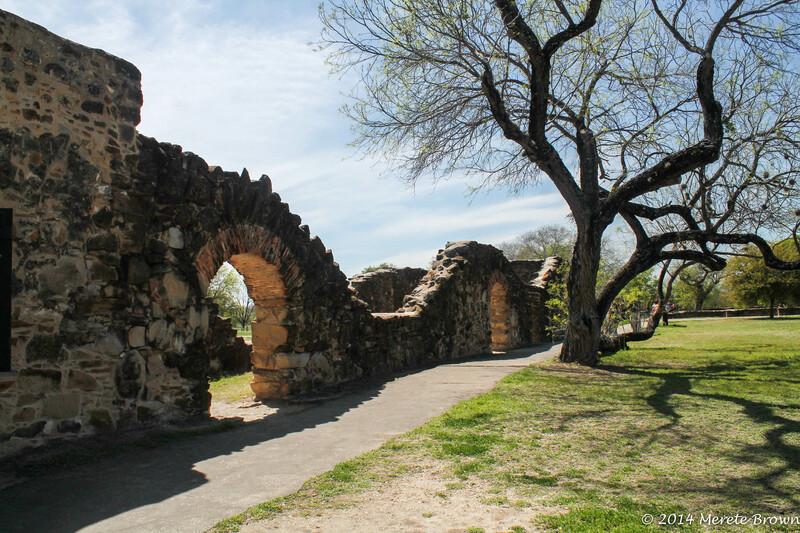 We spent a few moments enjoying the site and then raced towards the Alamo to catch it before it closed. 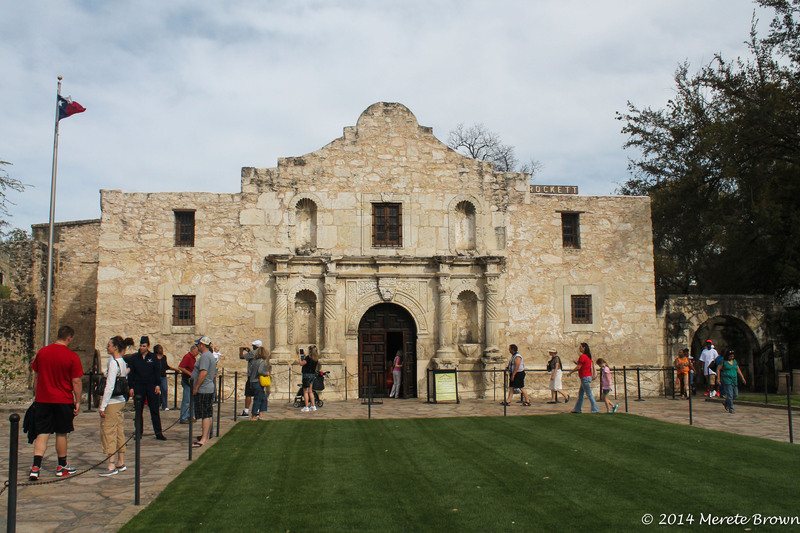 In 1836, the Alamo served as the last stand during a bloody ninety minute battle. Today, it oddly sits below the towering skyscrappers in the middle of downtown. People swarm the area and its impossible to get a clear shot, but its nonetheless an important relic of American history. 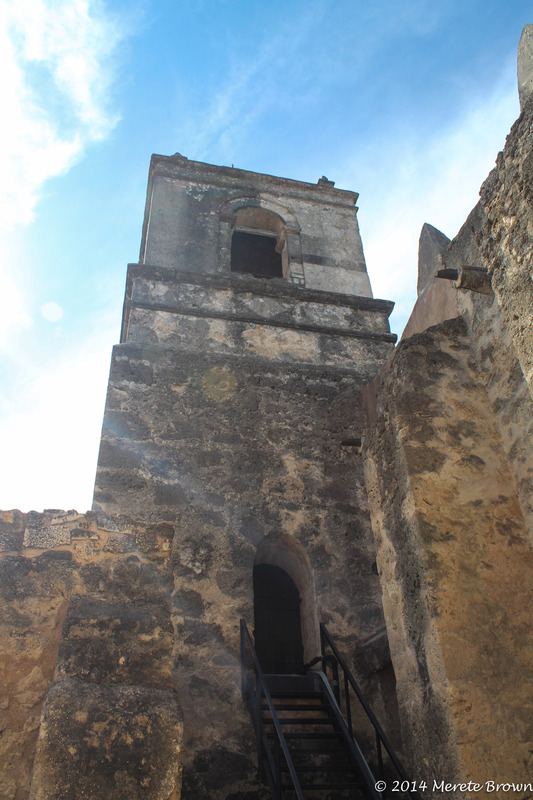 No photography is permitted inside but there are several informational boards detailing the history of the Alamo. 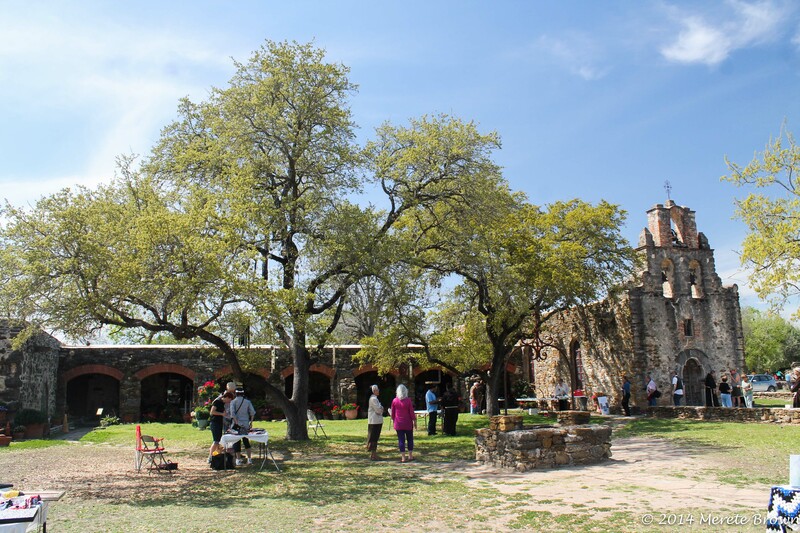 Visitors are then led out into a courtyard before exiting the grounds. 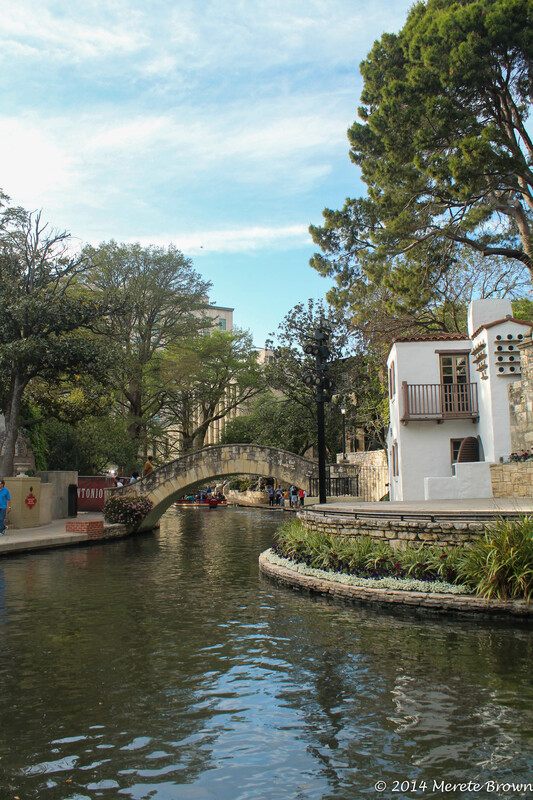 After taking a brief tour of the Alamo, we headed down to the Riverwalk, another trademark spot in San Antonio. The Riverwalk was vibrant and packed with people enjoying dinner along the water front. We headed towards the Tower of Americas to catch a view of the city as the sun began to set. Since Texas is relatively flat, you can see out indefinitely. 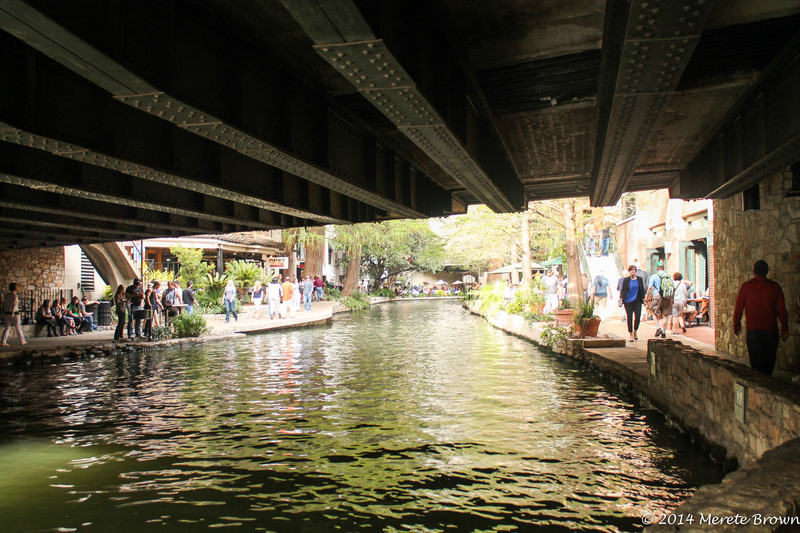 We made our way back to the Riverwalk and grabbed pizza at PizzaRitas. The Riverwalk was just as lively at night as during the day. 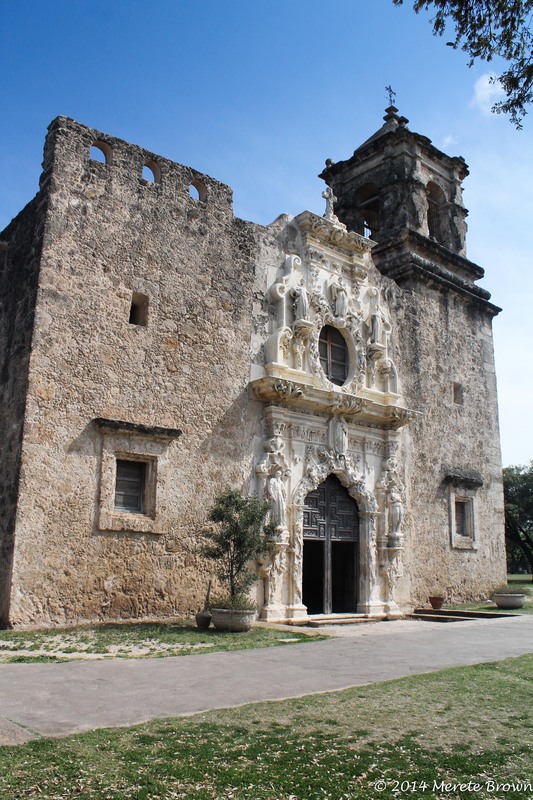 Like in a fairy-tale and true to the city’s character, lit up horse drawn carriages made their way up and down the streets, representative of how San Antonio magically and easily combines history with modern culture. We headed towards the Tower of Americas to catch a view of the city as the sun began to set. Since Texas is relatively flat, you can see out indefinitely. We made our way back to the Riverwalk and grabbed pizza at PizzaRitas. The Riverwalk was just as lively at night as during the day. Like in a fairy-tale and true to the city’s character, lit up horse drawn carriages made their way up and down the streets, representative of how San Antonio magically and easily combines history with modern culture.